Home News Hilton in Osa, the end of ecotourism. … said a friend of the foundation. This friend is one of the entrepreneurs that the foundation helped start his own business and now he promotes the sustainable use of natural resources in the Osa Peninsula. We have focused on the promotion of economic growth in the communities, as offering alternative options that promote conservation. But we are talking about low intensity development, sustainable development in the hands of local entrepreneurs. I mention this because, as a conservation organization, it is easy for us to be labeled as being opposed to any development. But the truth is that I would like to see the communities benefiting from a vibrant and lively tourism. A tourism that allows everyone to integrate. Therefore, we are very concerned about the imminent construction of a marina in Puerto Jiménez, the construction of a Hilton hotel in the area and the consequent real estate development that this entails. Puerto Jiménez is bathed by the waters of Golfo Dulce, an area of ​​enormous fragility and which waters are inhabited and visited by dolphins, humpback whales and other elusive species such as the whale shark. The area adjacent to this marina is surrounded by a mangrove, another area of ​​great importance and enormous fragility. At the environmental level, hotel and residential development of this level will endanger the integrity of Golfo Dulce and nearby wetlands. But my biggest concern is what kind of development will be attracted with such a huge project. 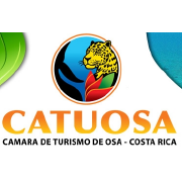 Osa has gradually prospered thanks to a low-intensity tourism industry in the hands of Costa Ricans and foreigners, who have made the area their home: boutique hotels, cabins, bungalows, hostels and other alternatives, generating a lot of employment and opportunities for the development of entrepreneurship. Hundreds of locals have their own tourism projects, either as owners of boats, tours sales, lodging and food services. This type of development is only possible when there are no hotel chains that with their capital and power can smother the competition of the smallest. The entrance of a hotel chain to the area is a precedent that we have not had to face in Osa and that will be without doubt the beginning of a slow but sure invasion of megaprojects in the area. Personally, I had the experience of working with two hotel franchises before working with the foundation, and I know firsthand that competing with them is impossible. Their efficiency and size, allows them to hire less personnel per hotel room and per square meter than a small company. Its capital allows them to offer services and attractions at unbeatable prices. All the permits of this hotel and marina have been approved, however, there is a last resort that we can use, we can write to the senior executives of Hilton, informing them that a development of this size is not welcome in the zone and that any transgression and infraction by part of those involved in the project, will be monitored, and will be taken to the press and will affect its public image. 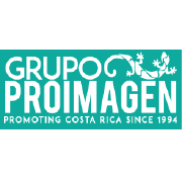 The parties involved in this project might want to rethink their involvement knowing that it could harm local communities and the incredible ecosystems that is so important to Costa Rica and to the world. Help us prevent Hilton from building a hotel on top of a dolphin breeding ground by signing this petition. Don’t begin the Osas slow destruction! No Hilton! A Hilton in Osa….?! It will take away from the area for tourists who flock there for the natural, eco-developed ambiance. Please NO! Please Don’t allow large tourism corporations to build on Osa. You will ruin everything we love about it, as well as the ecosystem!